Are you looking to work for a great company with an opportunity to get hired on after 90 days? Luttrell Staffing Group in Dandridge, TN is currently hiring Machine Operators and Production positions for a client in Kodak, TN. If you have at least 6 months machine operator experience and interested in 1st or 3rd shift, apply today! 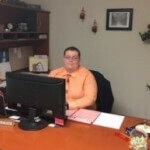 I’m Patrick, before I started working for Luttrell Staffing Group I was a Stock Manager at Food city for eight years and before that I graduated Cocke County High school in 2008 where I spent most of my time in band. Now I’ve been with the company since March 2016 and I love finding people jobs.